Hey everyone. It so happens that with the help of Mobile Me and iWeb, I was able to make a personal website all to my own. I will be giving it to anyone who wants to know a bit more about myself, or just want to see it for some reason. I highly recommend people to get a mac just for this purpose. iWeb is such a cool program and makes creating a website so easy. So here it is to you guys, since you’re reading this right now http://web.me.com/ericlukepeterson/eric Enjoy! 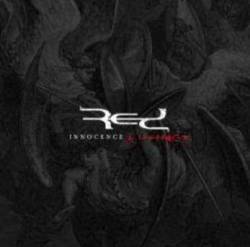 On another note, I just bought RED‘s new album Innocence and Instinct and it is beyond God breathed amazingness. To give you a sense of what they music is all about, check this out. To compare them to an artist, they would be pretty close to Linkin Park without as much rapping. Thats all for today. I’m off to engage in some seriously awesome small group action, FNBS (Friday Night Bible Study) Peace and God bless.